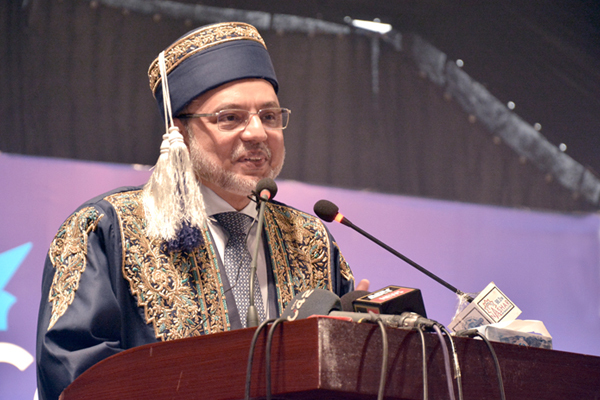 Dr Hasan Sohaib Murad, Chairman, ILM Trust and Board of Governors, addressed the distinguished guests, graduates and their parents. He said that graduation marks a joyous celebration by faculty and students. It is not just about an accumulation of CGPA and exam scores. It is about carving out a new identity that is formed through interaction with the academia and your fellow students. It is about gaining new ambitions and perspectives. It marks the day when you are enabled to contribute to the society that you live in and the world at large. 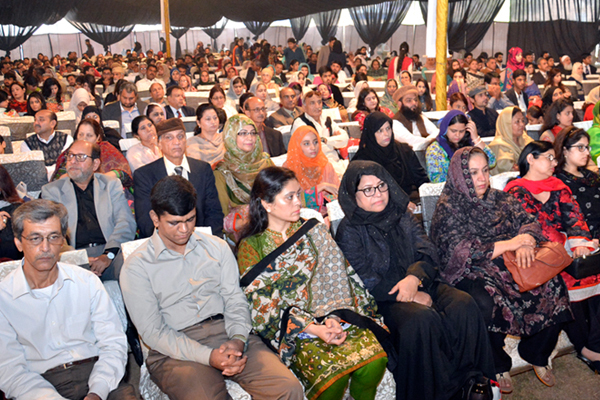 Dr Hasan said that human nature has tremendous potential. This Convocation is the bridge between your life as a student and the practical world. Soon you will receive your degree. You came to UMT as a guest and a participant; you are leaving as an ambassador of UMT and a leader of society. D stands for discovery, determination and decisions that you will make in life. I stands for intelligence, ideas, information and the interaction with the world. A means absolute character, advantages by virtues of your skills and assertiveness. M symbolizes meaningfulness of your life, making a difference, merit, modesty and meditation in life. O stands for optimism, outstanding career, open heartedness and being open minded. N symbolizes nobility, and your connectivity with nature. D stands for devotion and dignity. 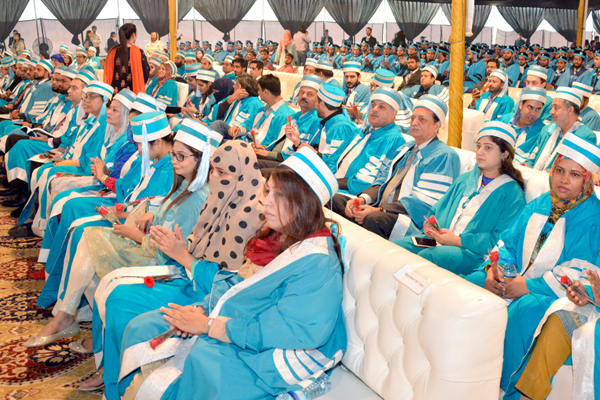 Dr Hasan concluded his address by saying that the graduates today had come to receive their degrees but are now leaving with a DIAMOND as well. His address was met with loud applause and enthusiasm by the graduates.